Equally important to your political strategy, campaign materials are crucial to successful outcomes. Over the years, as messages have changed, our designs have adapted. 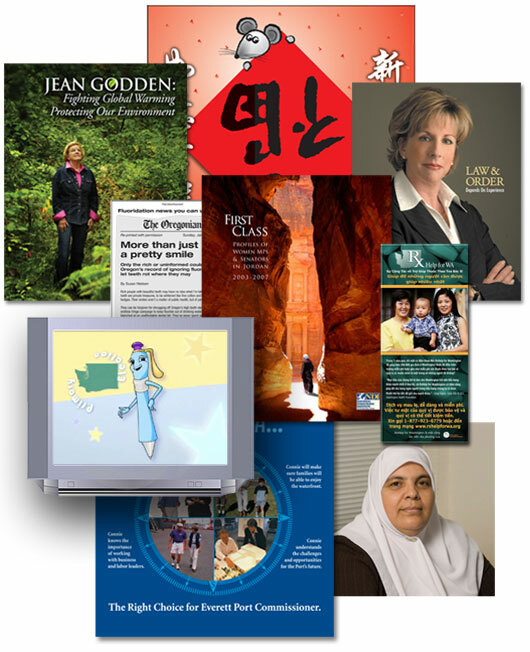 The Connections Group has developed direct mail pieces, phone blasts, radio ads, newspaper ads, campaign web sites, television commercials. You name it — we’ve produced it. To see (and hear) some examples of our work, click on the menu categories on the left.